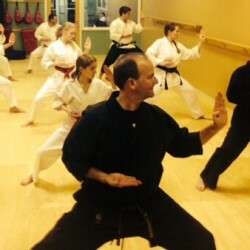 Our beginning self-defense classes are a combination of Tae Kwon Do and Hapkido Techniques. 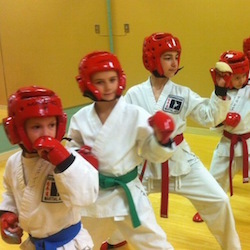 Tae Kwon Do uses a variety of blocks, punches and kicks. Hapkido is an extremely efficient self – defense art that does not require a person to be physically strong. Through training adult students gain confidence, self-discipline and improved overall physical condition. Children 6 years old and up. Birmingham Martial Arts studio is the only school that specializes with children. Children learn respect and discipline while building character, confidence and self – esteem through martial arts training. Through the physical workout and belt promotions classes encourage individual achievement. 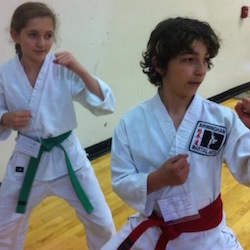 Our unique kid’s karate program is designed to bring out the best in every child for them to reach their fullest potential at our studio, home, school and everyday life. Children 4 to 5 years old. A very structured, basic martial arts class teaching coordination and discipline. In this specially designed simple, exciting class young students are pushed to exercise their mind through fun physical activity preparing students to graduate into our Kids Karate Program. ©2019 Birmingham Martial Arts · All Right Reserved. Made by Refine Your Website in Michigan.